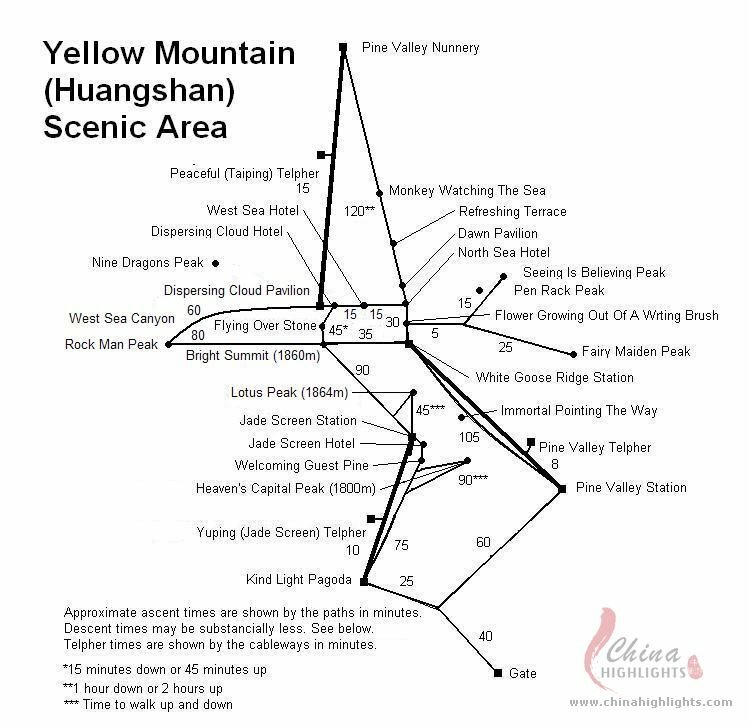 Huangshan maps cover the city&apos;s location and three Yellow Mountain tourist maps. 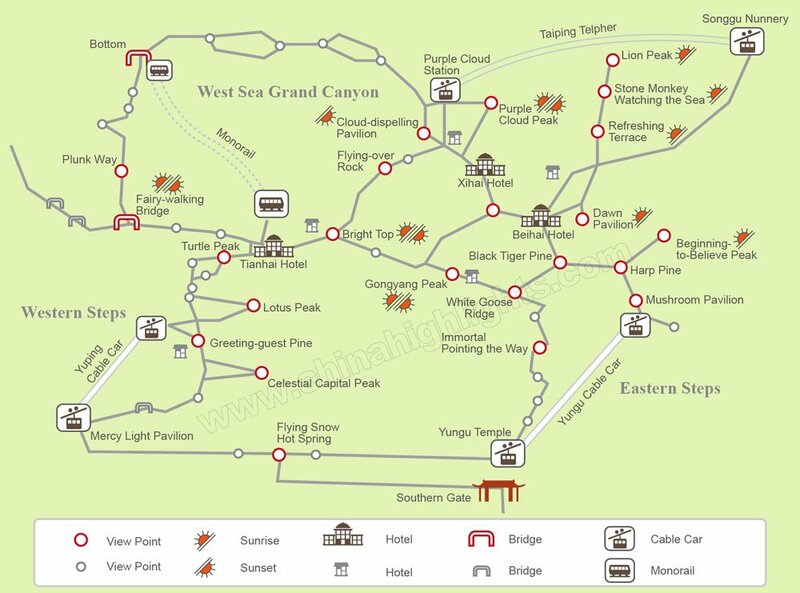 The tourist maps show the routes up and down, and attractions on the mountains. 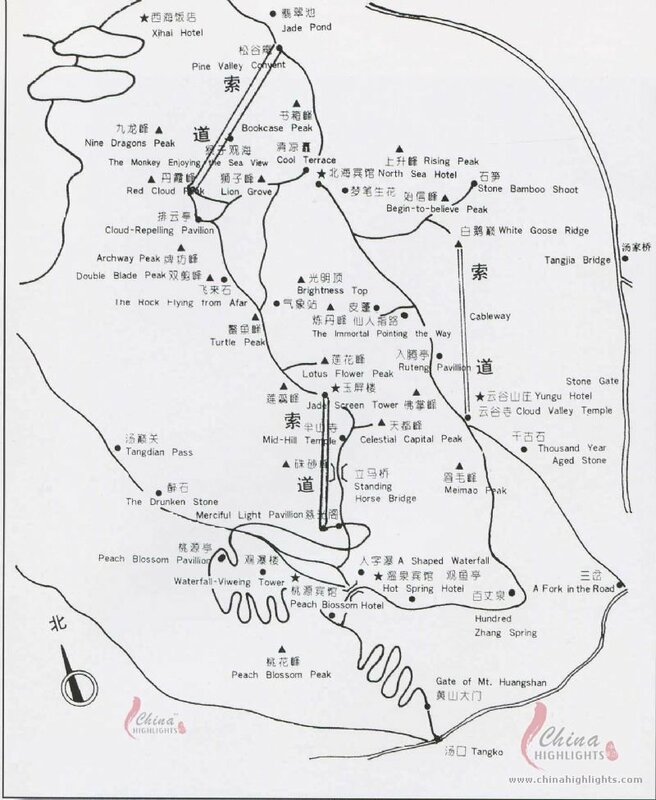 Click on the maps for a enlarged view.